As a federally registered, 501(c)(3) Non-profit organization, CSAHA uses fundraising programs to support our Scholarship programs and to help keep season fees low, which in turn helps kids play hockey who would not otherwise be able to. Below is a recap of our most popular fundraising programs. What better way to show your support for CSAHA than by wearing it? Shopping at CSAHA's Apparel Store is easy, secure and a great way to donate to our organization. Part of all apparel sales come back to CSAHA to help keep season fees low. Sporting CSAHA's new logo are a wide variety of clothing and accessories to choose from. T-shirts, Hoodies, Jackets, Pants, Hats, and more. 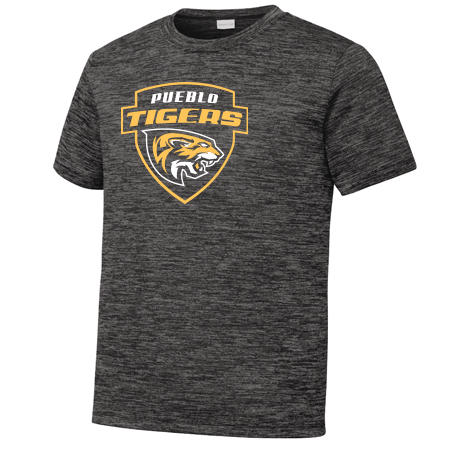 Click a CSAHA Apparel Store link today and "wear" your support for CSAHA's Pueblo Tigers! Questions? Contact Neesha Lenzini, at fundraising@csaha.com. It is a simple, automatic way for you to support CSAHA every time you shop at Amazon - at no extra cost to you. When you shop at smile.amazon.com, you'll find the exact same vast selection, low prices and convenient shopping experience as Amazon.com - with the added bonus that the AmazonSmile Foundation will donate 5% of your eligible purchase to your favorite charitable organization - CSAHA. It's really that easy - you shop, choose CSAHA as the organization you would like the AmazonSmile Foundation to make a donation to, and CSAHA will receive 5% of all eligible purchases. You can also use your existing Amazon.com account on AmazonSmile if you have one. CSAHA gratefully accepts donations via check or Paypal. Donations are used to fund our scholarship programs, pay for ice & officials, and other operating costs, unless otherwise designated. Donations may be noted as general support for our other programs, or as a memorial donation. Be sure to indicate this in the "Special Instructions for Your Donation" box. Please mail check donations to: CSAHA / P.O. Box 1263 / Colorado Springs, CO 80901. CSAHA is a 501(c)(3) nonprofit organization. Your donation is tax-deductible to the extent allowed by law. No goods or services are provided in exchange for your generous donation. CSAHA appreciates every donation made through Paypal. If you have been directed back to this page after making a donation, your donation has been processed and a confirmation email has been sent. Please log in to your Paypal.com account to view the details of your donation transaction.